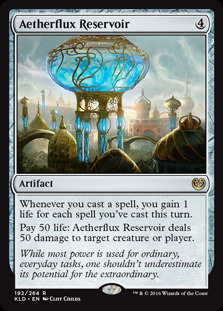 When Jhoira was first spoiled, I had high hopes that she would captain a great Artifact based Aetherflux Reservoir deck in Standard, alas she just didn't really have enough cards to support her and a storm deck based around her in Standard. So, I started turning my attention to the best format ever, 4P EDH. I built and rebuilt the deck on paper, crafting out some nifty combos and tricks. And then I realised I had become that which I rally against. Infinite combo. 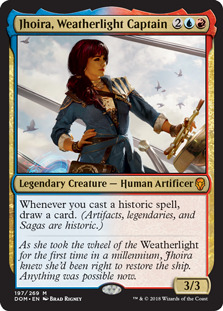 First up, Jhoira, Weatherlight Captain is a legendary Human Artificer for two colourless, one red and one blue mana for a 3/3. 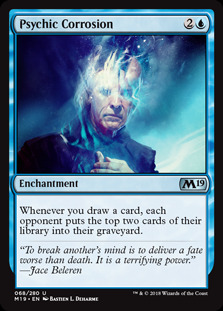 When you play an Historic spell, you draw a card. Sounds like the perfect captain for an Artifact Storm deck. 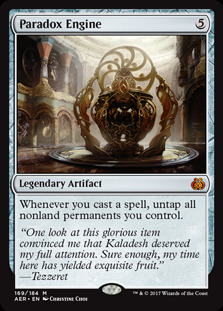 So what we're looking at first, is ways to reduce our Artifacts converted mana cost so we can draw cards for free or near free. 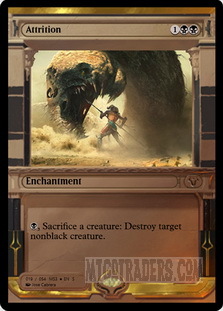 This means we can be free to mess with lands in other ways. For two mana we get an Artifact that reduces all spells by one generic mana. This means the opponent as well, so be careful with that Helm of awakening. Nothing like free mana on a stick, right? 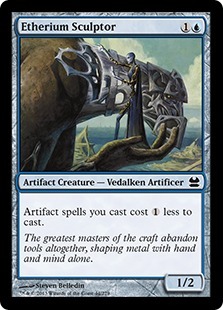 Etherium Sculptor is an Artifact Creature Vedalken Artificier for one generic and one blue mana with one power and two toughness. This little dude also reduces all your Artifact spells by one mana. 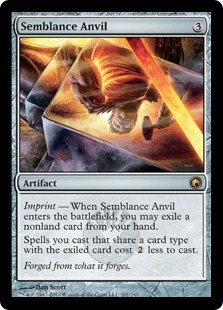 Semblance Anvil is a bit more on the edge of playable for me, at five generic mana you can imprint a card on it when it comes in to play, all spells you cast that share a type with that card then get reduced by two mana. 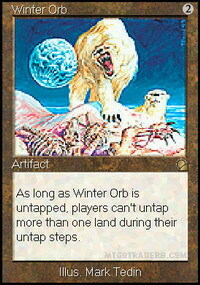 Not one of my favourite artifacts as you lose a card to it forever. Who would have thought there would be so many ways to reduce mana costs of Artifacts! Next up is foundry Inspector. 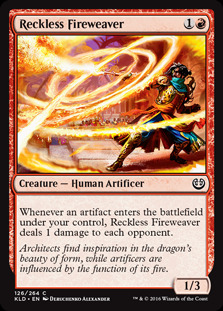 This 3/2 Artifact Creature reduces all your artifact casting costs by one generic mana. 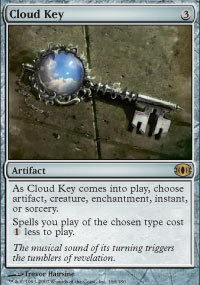 Cloud Key is fairly straight forward, however it's busted on MTGO and you can only reduce Artifacts by one mana, not all spells of the chosen type. 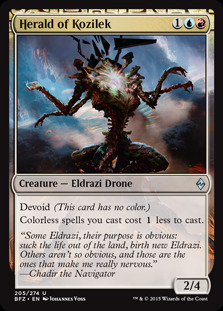 This 2/4 Eldrazi Drone reduces colourless spells by one generic mana. Here it just adds more fuel to the fire for Artifact reduction. A little expensive on the hard cast, this Artifact Bird also reduces our Historic spells, not JUST our artifacts, by one generic mana. 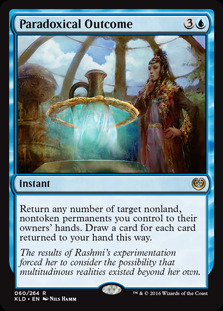 It's pretty frail and a little 2/2 will likely be an easy target, but another mana reduction spell never hurt anyone. The neat thing about Artifacts is that we can use several neat combos to kill our opponents, some of these will deal damage on all opponents at the same time, others will be far slower and might actually need to be just taken out. 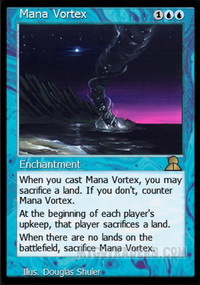 Jhoira, Weatherlight Captain along with our mana reducers is really good, but to add an extra level of spice to the combo, Paradoxical Outcome is an instant for three generic and one blue mana that allows us to bounce back any non-land permanent to our hand and draw a card for each we take back. 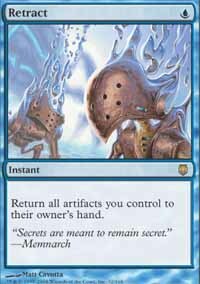 Then we should have taken back enough artifacts that we can replay them for free and drawl a stack of cards from our Captain, this leads to more draws and more plays so we can eventually just kill everyone on the table at once. 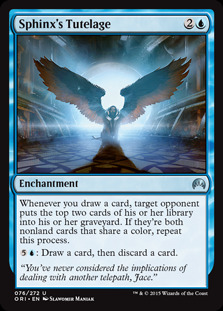 Also we have Retract , an instant for a single blue mana that returns all artifacts you control to their owners hands. 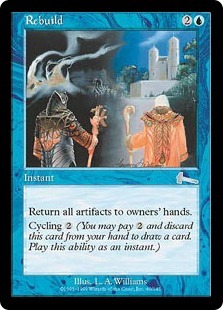 We also have Rebuild , for two generic and one blue mana, return all artifacts to their owner's hands. 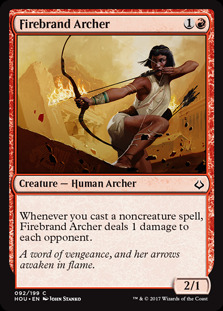 Speaking of going off, Firebrand Archer deals one damage to each opponents when you play a non creature spell and Reckless Fireweaver deals one damage to each opponent every time an Artifact enters the battlefield under your control, weaponising each Artifact you play in to a mini gattling-gun bullet. 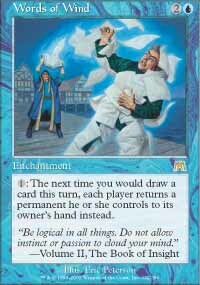 Usually I don't think many single cards are busted in EDH on their own and though there is a few, they get banned fairly quickly. So to my surprise, Paradox Engine isn't banned even though. You may think this isn't busted and by itself, it isn't. But with anything that allows you to tap for mana and isn't a land, you can get a pretty gross combo going. 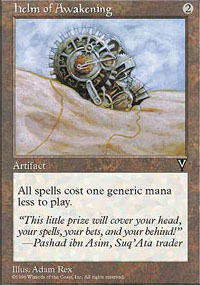 Paradox Engine is a five mana Artifact that untaps all of you non-land artifacts every time you play a spell. 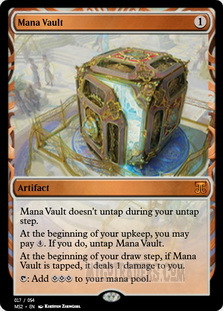 So with Jhoira, you can tap all your mana rocks such as Mana Vault , play an Artifact to draw a card and untap all those beautiful mana rocks of yours. 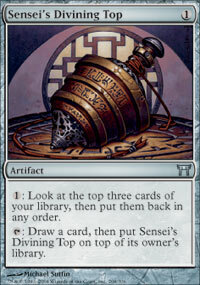 This can go infinite with Sensei's Divining Top . Okay, this is the part of the deck that wrecks me. The control package is a little more dirty than what I like to have, but we want to kill our opponents and to do that, we have to employ some less than nice tactics. 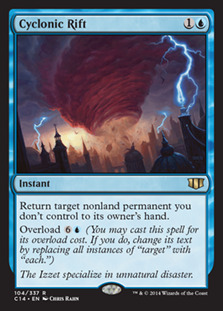 On the less disgusting scale, Rift here will allow you to bounce all nonland-permanents you don't control if you pay the Overload cost. Passing gas... I mean, Words of Wind allows us to turn card draw into bounce. 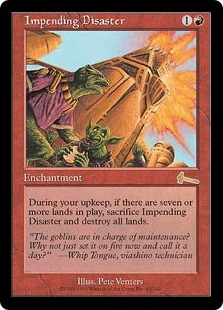 We can get rid of troublesome permanents such as Attrition . Because Attrition is busted and I hate it. Especially when we don't run a whole mess of creatures. 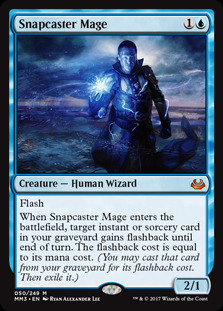 Torpor Orb shuts down ETB effects on creatures such as Snapcaster Mage and Cursed Totem shuts down the worst of the worst such as Hermit Druid from wrecking your day. How highs the water mumma? About fifteen feet and rising. And when that water rises, boy does it soak the land not unlike our Winter Orb. If Impending Disaster sticks around until your next upkeep, you lose all your friends and destroy all the lands. All of them. Gone in an instant like Thanos clicking his fingers. Hoo boy do we really not want to make any friends. Who need lands ANYWAY, am I right? 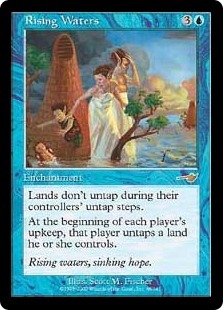 At the beginning of each upkeep, that player sacrifices a land. Super gross and underhanded card that makes me feel pretty gross playing it. But here we are. 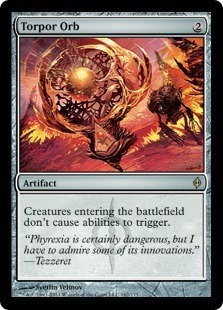 Now we are playing Sphinx's Tutelage and Psychic Corrosion as an additional wincon, but I feel they can both be removed for a better focus on the current combos in the deck. as I feel they're both a little too narrow for this deck. But more testing is needed. Well, that's it for today and I hope you enjoy this awesome Jhoira Combo deck, it feels pretty fun to play but I feel bad for my opponents every time I play it. What are some of YOUR awesome gross combo decks? Oh there are plenty of ways, I just decided to cut some of them.